The International Monetary Fund last weekend approved the payment of a $245 million loan tranche to Tunisia as the North African nation is making urgent economic reforms, Reuters reported. 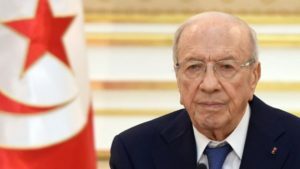 Under a deal reached in 2016, IMF was to assist Tunisia with a four-year loan program worth about $2.8 billion, tied to economic reforms aimed at keeping the country’s deficit under control. Praised as a model of democratic transition following its 2011 uprising to oust autocratic leader Zine El-Abidine Ben Ali, Tunisia, however, dropped into a deep economic slump following the overthrow and has so far failed to deliver on planned economic reforms to help create jobs and cut public deficits. The economic growth is expected to accelerate between 3 and 3.5 percent next year from an expected 2.9 percent in 2018, driven by a recovery of the tourism industry and agricultural sector. Tunisia previously announced that it would issue Eurobonds during Q1, 2018 but the issuance was repeatedly delayed because of poor performance in the local economy and unfavorable market conditions. The government aims to reduce its budget deficit to 3.9 percent of gross domestic product next year from the 4.9 percent it is forecasting for 2018. Posted by Khalid Al Mouahidi on October 1, 2018. Filed under Finance. You can follow any responses to this entry through the RSS 2.0. Both comments and pings are currently closed.